If you can brew a cup of tea, you can brew kombucha! There’s so much to love about this fermented tea. It’s loaded with gut-healthy probiotics, lightly effervescent, and absolutely delicious. 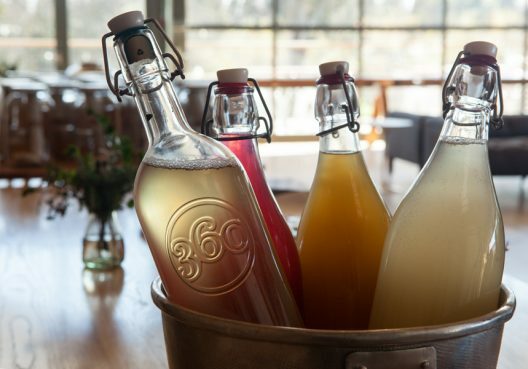 We’ll be learning how to make kombucha at home with SHED’s culinary educator Joel Whitaker, starting with growing a healthy SCOBY and picking the perfect tea blend, discussing common mistakes and how to avoid them, and ending with a fizzy glass of our own creation, straight from SHED’s fermentation bar. Class attendees will receive their very own SCOBY and a kombucha kit to kick-start their own home brewing—as well as 10% off in our shop for the day, so you can pick up a crock of your own to brew in style.